CONGRATS champion Turbulent Descent completed Vinery’s international Group 1 double for in the Ballerina Stakes at Saratoga overnight. Hours earlier, Testa Rossa mare Ortensia won the G1 Nunthorpe Stakes at York’s Ebor meeting. Turbulent Descent (4f Congrats – Roger’s Sue by Forestry) settled just behind the pace and then asserted her class to score by over a length in the $500,000 feature. The win earned her an automatic entry into the Breeders’ Cup Filly & Mare Sprint at Santa Anita in November. Ortensia also qualified for the $1 million Breeders’ Cup Turf Sprint after the Nunthorpe although it’s unlikely connections will keep her in work until the end of the year. Turbulent Descent was previously based in California prior to her sale to Coolmore Stud’s John Magnier, Michael Tabor and Derrick Smith. She was subsequently transferred to Hall of Fame trainer Todd Pletcher who was more than happy to claim a Group 1 with the newcomer to his stables. “”I thought she ran well,” said Pletcher. “Sometimes the hardest races to win are the ones you’re expected to. We were just hoping to stay out of trouble… Johnny said she got a bit of a bump in the middle of the turn over there and she kind of grabbed him and took off a little sooner than he wanted to”. 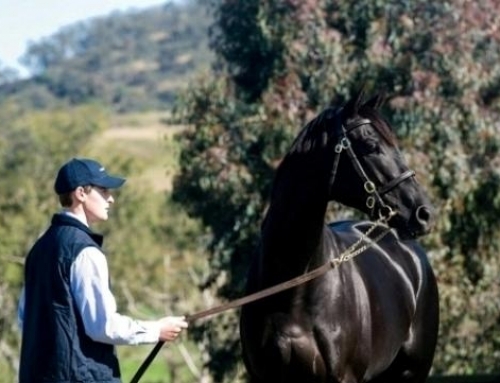 Turbulent Descent has now banked $1.20 million from 8 wins in 12 starts. Bred in Florida, the Congrats filly initially sold for $160,000 at the Ocala 2YO Sale in April 2010. Turbulent Descent was a Group 1 winner of the Hollywood Starlet, Santa Anita Oaks and Saratoga Test Stakes before finishing her 2011 campaign with an unlucky loss in the G1 Breeders’ Cup Filly & Mare Sprint at Churchill Downs. The Ballerina winner was instrumental in Congrats (A P Indy) securing the 2010 North American first-season sires’ crown. He returns to Vinery for a second southern season and has already been booked full at a $22,000 (inc gst) service fee.